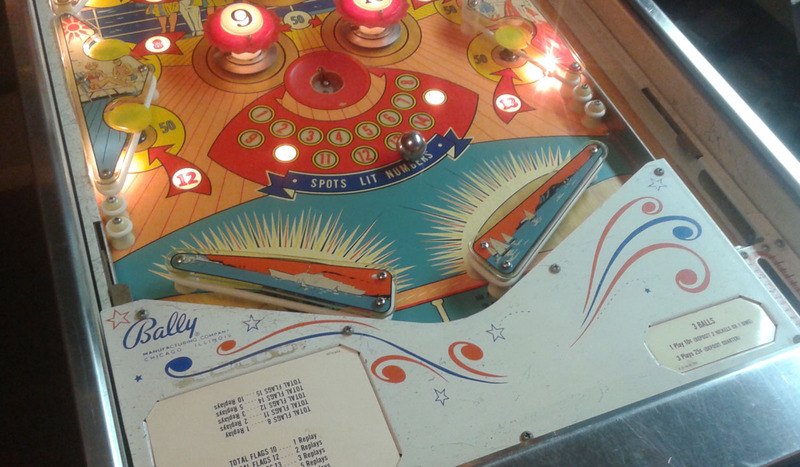 Unique flipperless novelty pinball machine made by Bally in 1965. 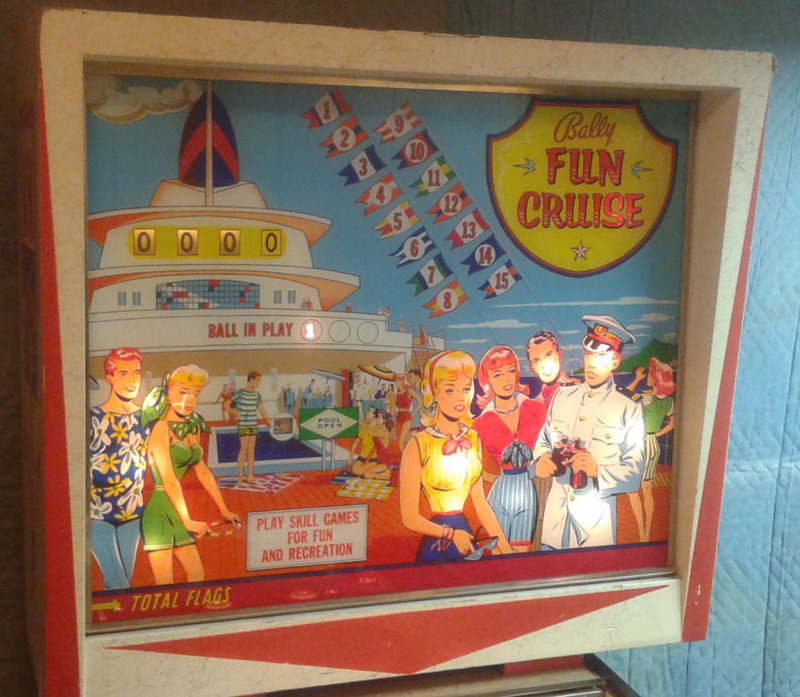 This game spawned a sequel, Deluxe Fun Cruise, a year later. 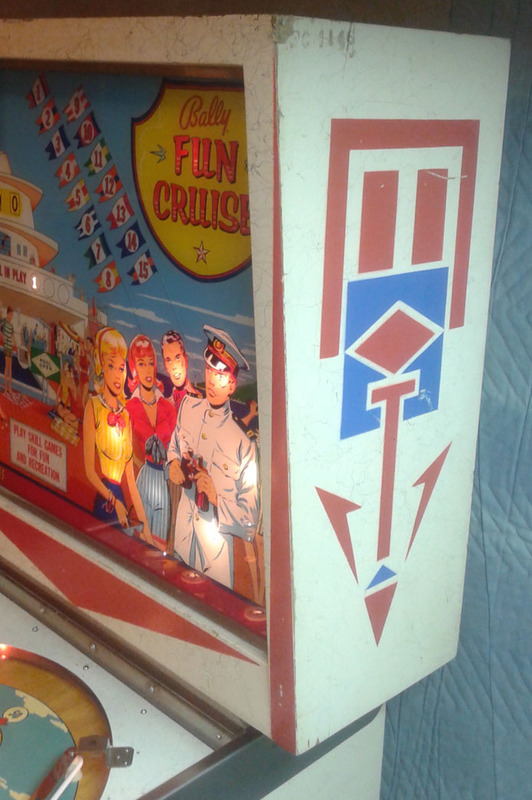 Fun Cruise is a single-player, 3-ball, flipperless game that uses oversized slingshot bumpers at the bottom of the playfield to virtually "play itself" and propel the ball back up into play. 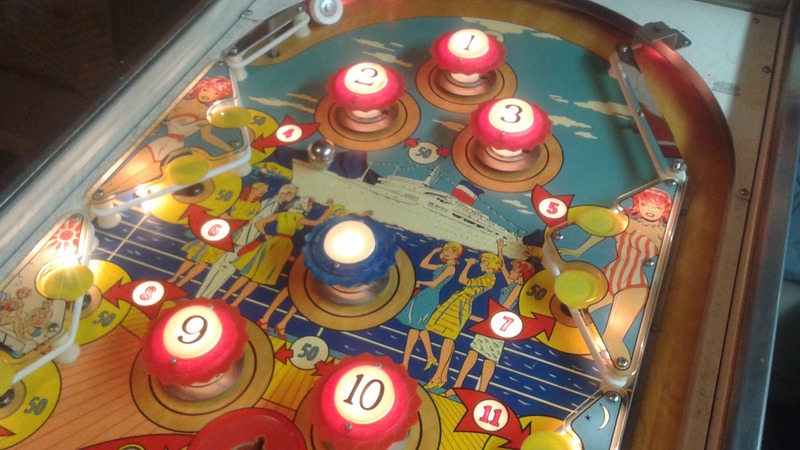 Try to collect flags from various ports-of-call on your "pinball cruise" by nudging and hitting targets, bumpers, and the kick-out saucer. How many can you get? 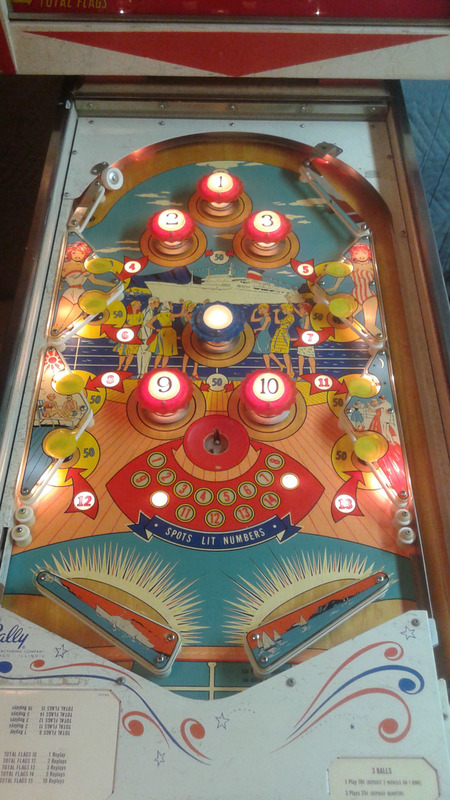 Lots of playfield action including 6 large bumpers, 8 mushroom bumpers, 2 large slingshot kickers, a large kickout saucer, flashing lights, lots of great colors and artwork, and of course classic pinball play and sounds. Rare game- only 675 units were made! 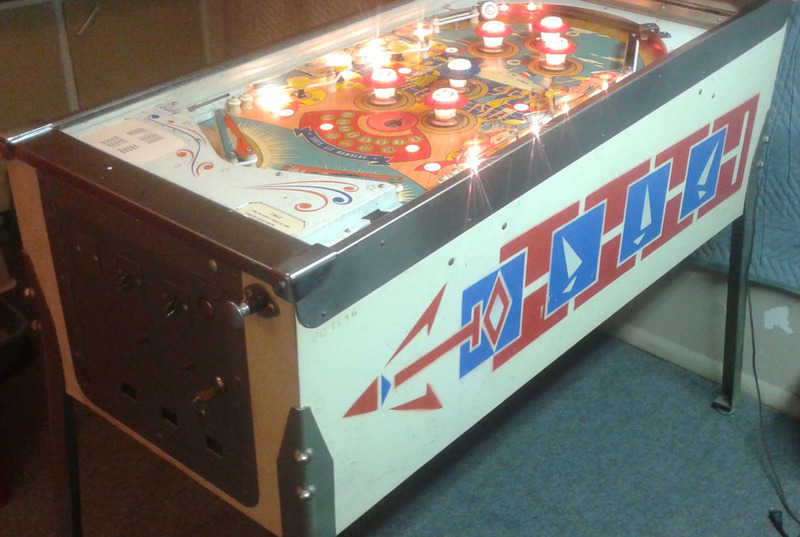 A great novelty piece for entertainment and a very unique addition to anyone's pinball collection! Excellent overall condition. 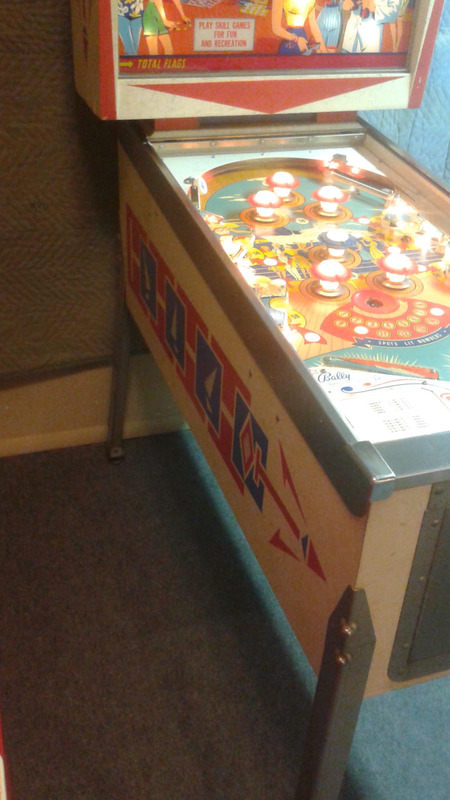 Just shopped-out, including full playfield cleaning, new rubber rings and bumpers, light bulbs, and more. Very low-mileage game- very clean inside and out and well cared-for by it's previous owner. Shows far-below-average use. This game has been repaired and "fixed-up" but has not been "restored". 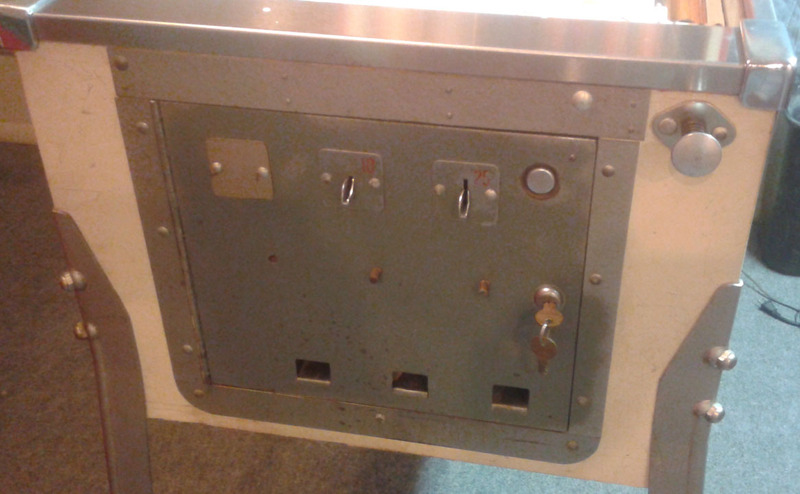 A future owner may want to do additional work beyond what we have done, if he/she so desires (game is sold as-is). Shows some signs of past use. 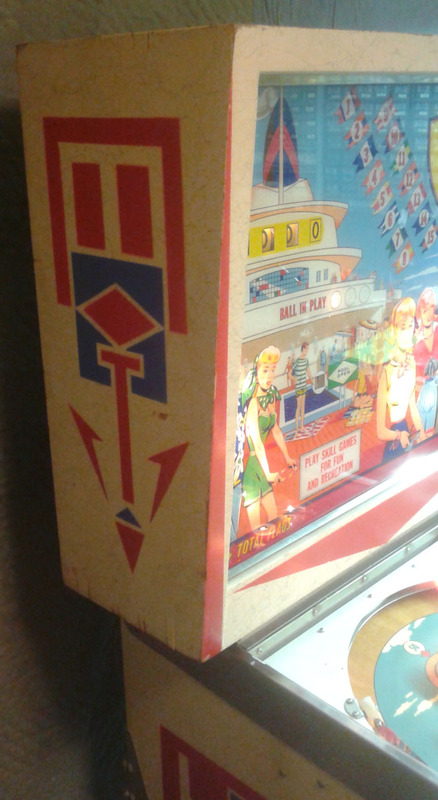 Playfield in excellent condition with minimal wear/tear. Backglass has a few spots where ink has started to crack/flake- very minimal- overall very good condition. 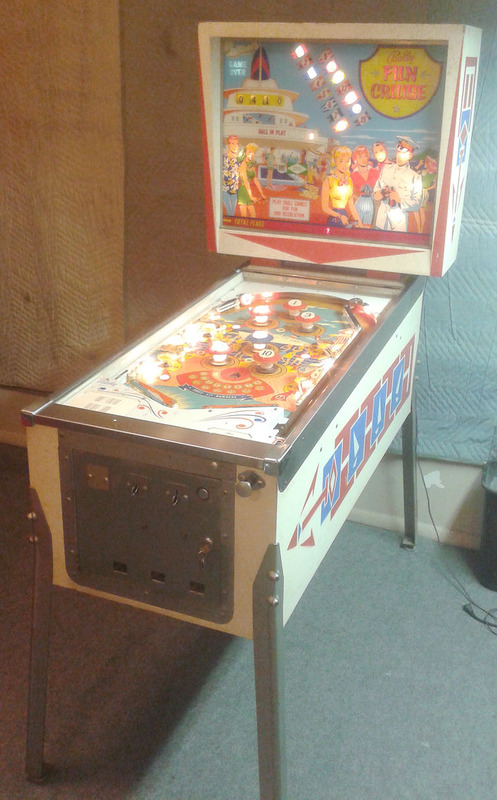 Cabinet has a few nicks, scuffs, scratches, and signs of handling and past use- overall very good. 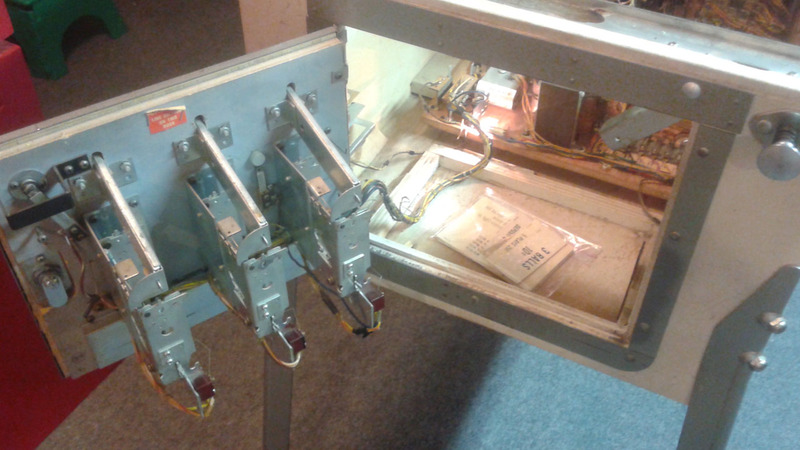 Coin door is disabled with no coin mechanisms- game is configured for "free play" (no coins required). 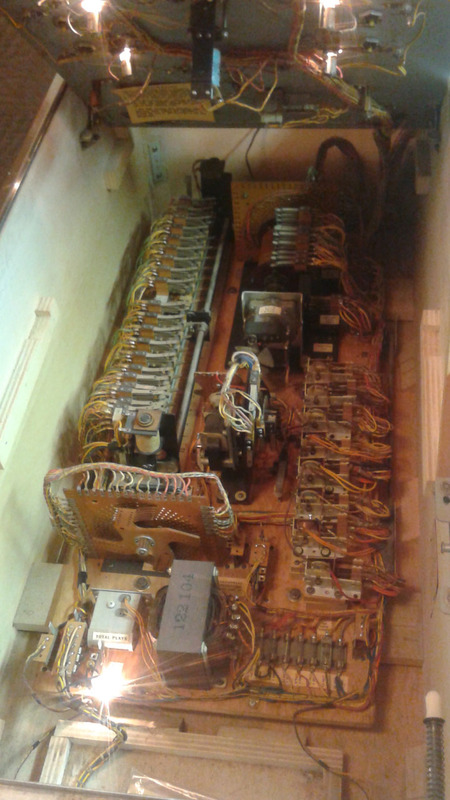 Includes schematic wiring diagram. This game is sold as-is with no warranty or service available after the sale. No returns/refunds/exchanges- all game sales are final. Contact us if you need any additional details or pictures.